Optimum speed reaching 250km/h or approximately 155mph and a single charge is capable to reach 350km or about 217 miles away, Zerotrace is the new dimension for electrical vehicle in 2010 and is being prepared to participate for Zero Race event to seek for champion of the best electric vehicle using renewable energy sources for a race around the globe in 80 days. Designed by group of Winterthur engineers from Switzerland, Zerotracer is in fact an electric powered motorcycle using the basic idea of MonoTracer aerodynamic body design and a battery powered motor capable of generating 183 Horse Power output or equivalent to 135kW. 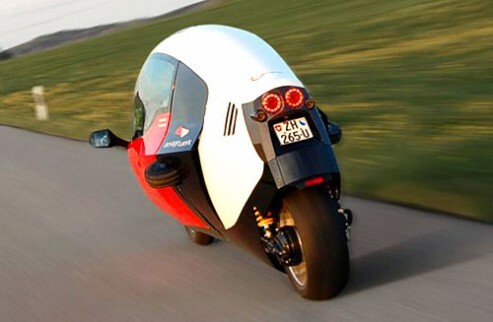 Zerotracer is able to carry two occupants in its Kevlar shell and hit 100km/h in a mere 4.5 seconds. Weighing about 80kg or 176lbs in no passenger condition, you could recharge Zerotracer fully in short two hours, and you could expect the battery power to reach 80 percent after a mere 30 minutes of recharging. 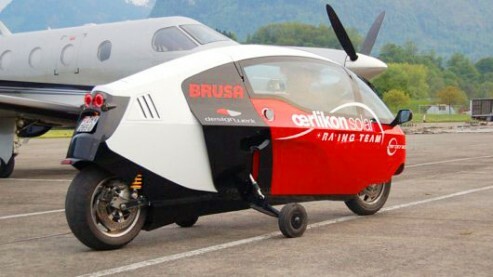 And to anticipate the Zero Race requirement, Zerotracer motorcycle is designed to use solar energy from thin-silicon solar panels made by Oerlikon Solar, a Trubbach, Switzerland solar power company. Zero Race itself will begin it debut in Geneva, Switzerland, on August 15. 2010. Will you be there?